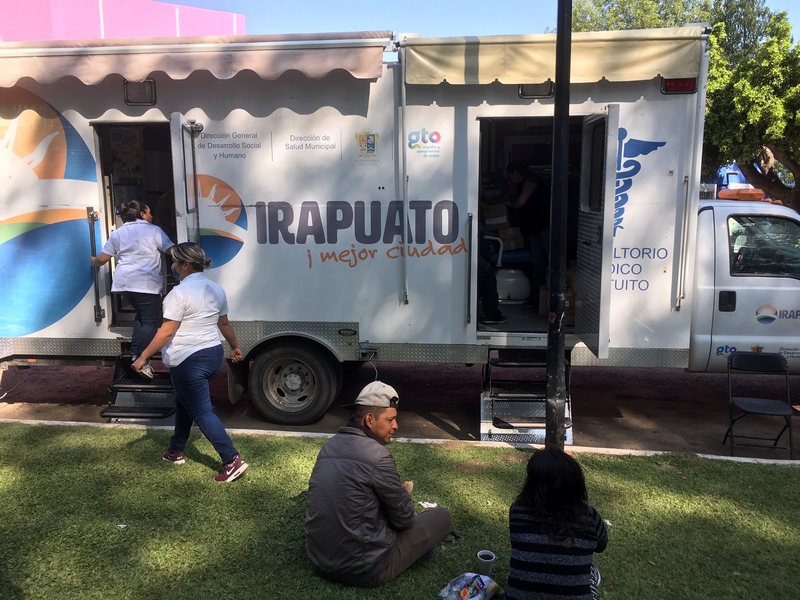 After a two hour drive from San Miguel, I arrived at the Irapuato encampment, a small park in a poor residential neighborhood. There is a tortilla maker across the street next to a taco stand, and a Walmart superstore a few blocks down the road. 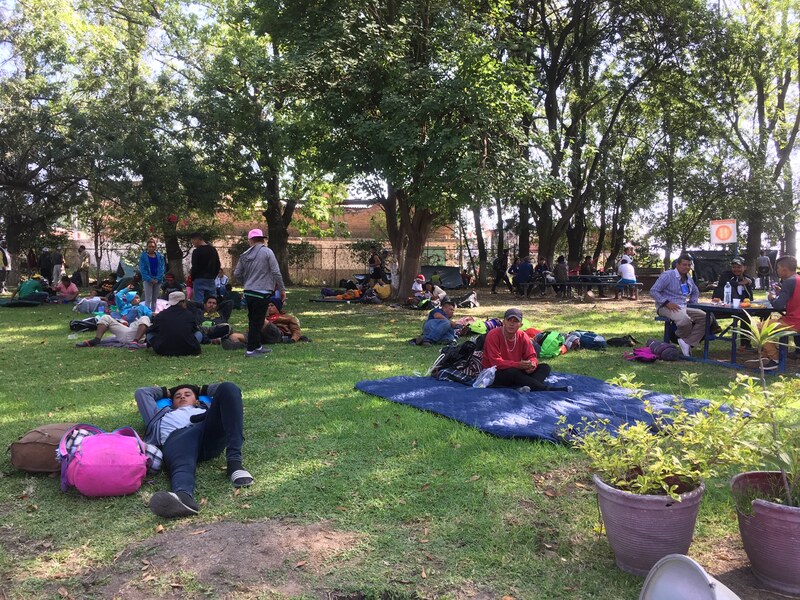 About 150 people were resting under trees or inside the park’s community center, which felt metal like an airplane hangar. The encampment was quiet and peaceful. 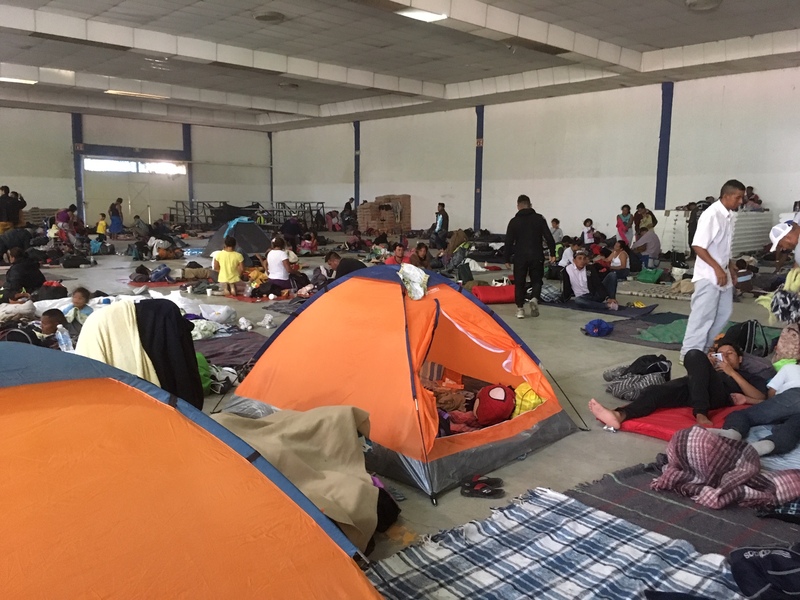 Protection professionals from the State of Guanajuato were distributing sandwiches and bedding. One of them told me “Perhaps it is good that the groups are smaller now. It allows government to help below the radar. You know what I mean.” He almost cried when he said they didn’t have any milk for the children. So I hopped a cab and returned with a dozen cases of milk and 50 pounds of bananas, which the volunteers agreed would be distributed to children. What was left from the afternoon meal could be stashed in back packs for the next day’s journey. The idea that there would be extra milk turned out to be a miscalculation. 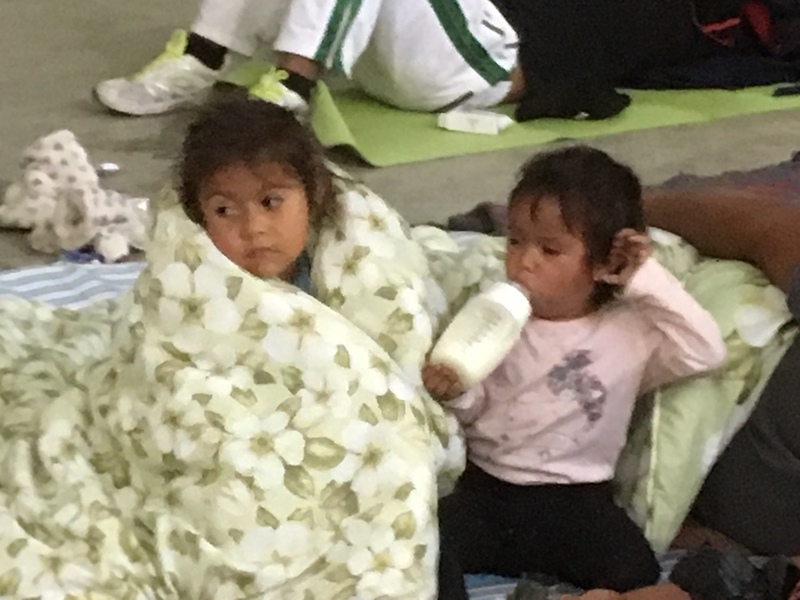 When I returned to the encampment on Sunday morning, thousands of Caravan members had arrived, among them, hundreds of children. Long lines at the food distribution tent. A sea of mats inside the community center. The porta-potties now floating in a pool of brown muck. The parking lot and street were full of cars, trucks, police vehicles and young men chatting in small groups. Breakfast or no breakfast, this morning they were up and out, enthusiastic to be on their way. Whatever god is, god help them. Univision posted this video of the Caravan leaving Irapuato this morning. It gives a sense of the numbers and how incredibly civilized these stressed-out people remain. Don’t miss the moment of triumph at 2:00. Kim,it is so good to get this reliable news from you. Thank you. 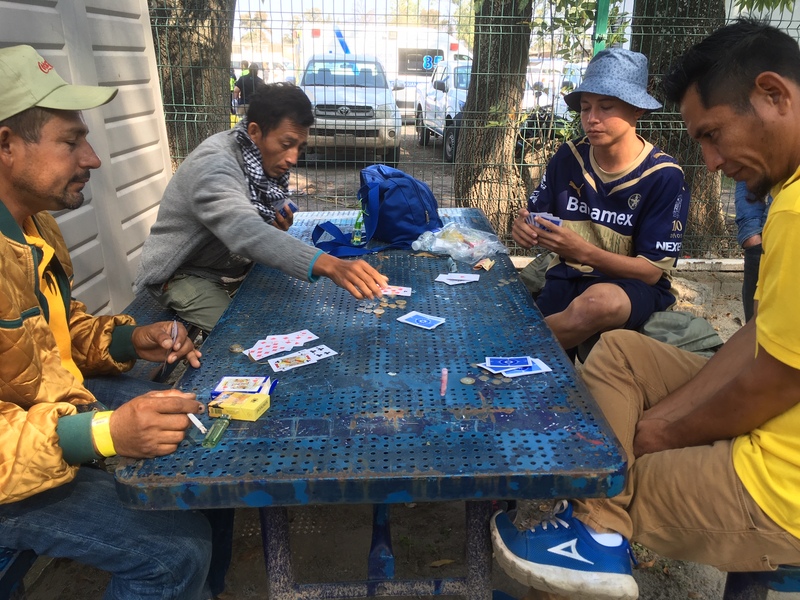 It’s a tiny slice of what is going on — I wish I could take more time out to talk to the caminantes but I am leery of imposing on them, they are so exhausted and stressed. My understanding of them is a feeling more than it is knowledge. May the gods be with them. Bless you for your assistance. Thank you. Thank you. Thank you. This is why I love you. Awww, thanks Barb. These people make me feel alive.